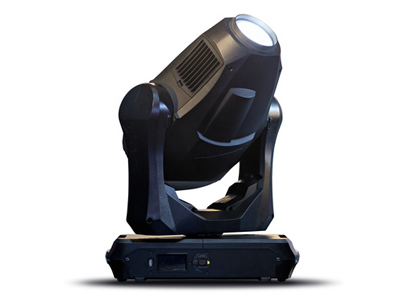 This extreme­ly bright LED pro­file fix­ture com­bines top-qual­i­ty white light with a fast, smooth CMY col­or mix­ing sys­tem and crisp gobo pro­jec­tion on sur­faces as well as mid-air. With all this and the new Ani­mo­tion™ FX sys­tem that allows nev­er-before seen beam ani­ma­tions, the mar­ket is now final­ly see­ing the first real 700⁄800 W dis­charge lamp replace­ment in a pro­file fix­ture that effec­tive­ly har­ness­es cut­ting-edge LED technology. Mea­sure­ments made at nom­i­nal volt­age with all LEDs at full inten­si­ty. Allow for a devi­a­tion of +/- 10%. Total heat dis­si­pa­tion (cal­cu­lat­ed, +/- 10%): 2000 BTU/​hr.